Pundits are predicting that 2018 will be a growth year for FODMAPS, which has been bubbling under since its debut in Australia as a treatment for Irritable Bowel Syndrome (IBS). The acronym comes from Fermentable Oligo-Di, Mono-saccharides and Polyols, which are types of short-chain carbohydrates found in a variety of foods, including onions, garlic, wheat and apples. Companies large and small are increasingly offering products that are low-FODMAP or FODMAP-friendly, illustrating the importance of the rapid emergence of an eating pattern which has every possibility of being as important as gluten-free, asserts New Nutrition Business. 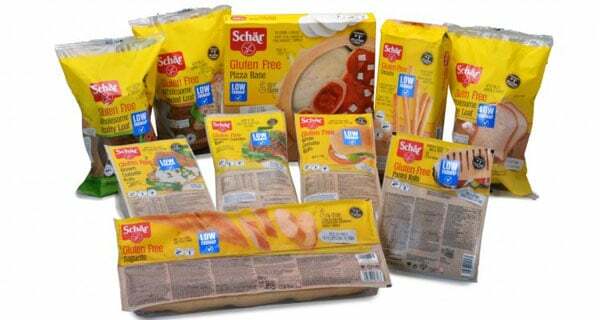 Europe’s biggest gluten-free brand – Schär – has become one of the first major brands to offer low-FODMAP accredited products in supermarkets. Schär’s launch of 10 products represents the first steps towards FODMAPS becoming as everyday a message in the supermarket as gluten-free, according to a new report from New Nutrition Business, called FODMAPS: The next gluten-free? “The launch illustrates the importance of the rapid emergence of an eating pattern which has every possibility of being as important as gluten-free,” says Julian Mellentin, director of New Nutrition Business. A low-FODMAP or FODMAP-friendly diet is a solution for sufferers of the digestive complaint irritable bowel syndrome (IBS) which affects one in seven adults worldwide. FODMAPS are types of carbohydrate1 that can be particularly problematic for people with IBS, causing symptoms such as bloating or diarrhea. Pioneered by Monash University in Australia, FODMAPS is backed by a growing body of scientific studies and the concept has been gaining acceptance among dietitians and gastroenterologists over the last few years. A low-FODMAP diet is widely considered to be a front-line treatment for IBS. Two certifying bodies (including Monash University) provide testing and certification for products. The Schär products are certified low-FODMAP by Monash University. “Powered by the huge Digestive Wellness trend – which has been the motive force behind plant milks, gluten-free and others – FODMAPS has potential to gain followers beyond the 10%-15% of people who have IBS, just as the gluten-free market has grown to be far bigger than the tiny percentage of the population diagnosed with celiac disease,” says Mellentin. “This trend is unlike many others in that it is an opportunity for established companies who are science-driven as well as for start-ups,” he adds. “Nestle, Kellogg, Baker’s Delight (a mass-market bakery chain in Australia), Fazer (the biggest bakery in the Nordic countries) have all launched FODMAP-friendly products or re-labelled existing products as FODMAP-friendly. “The entry of Schär, a reputable gluten-free giant, into FODMAPS underscores the opportunity.